The Park Hotel Rams emphasised their dominance of this year’s FFNC Championships with a comfortable win over yet another quality side, Lismore Workers, on Saturday. 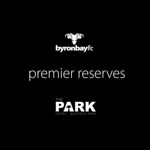 The reserve grade match was yet another tough and frustrating affair for the Byron Bay squad. 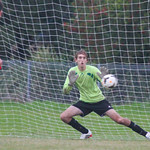 Despite having the edge over Workers for much of the match, the Rams finished a goal down after the Lismore ‘keeper stopped a Byron penalty, and the Lismore squad put another penalty into the Byron net. 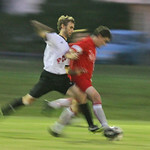 It was a different story in the Prems, however, with the Rams on the hunt right from the kick-off. A disciplined Workers outfit had no answers to what appeared at times to be a ten-man Byron attack and were left reeling under the relentless pressure. Twenty minutes in, James Tomlinson headed a ball back to the boot of Kazahiro Tsukamoto who buried the first of the Rams first-half goals. Moments later, Tsukamoto served up a pinpoint cross to Connor Cannon who finished with a deft header for number two. 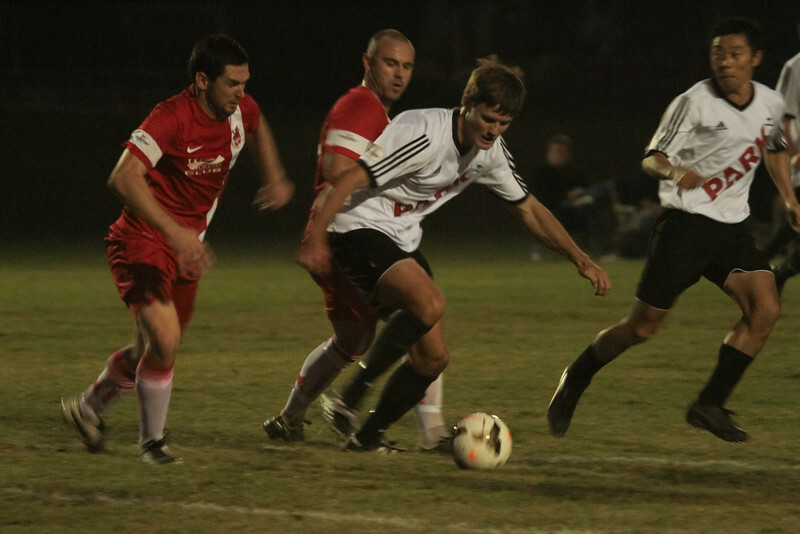 Midfielder Barry Woods bagged two more powerful goals to complete the Rams first half spree. 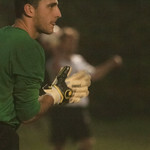 Byron’s overwhelming dominance continued into the second half, but the Rams relaxed a little in the latter stages and allowed Workers to salvage a little dignity with two ’soft’ goals. James Tomlinson sealed the Rams 5-2 win with another slick header. 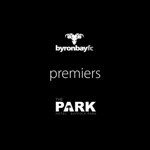 Midway through the 2014 season, Byron has defeated every team in the competition and holds a handy six point lead over second placed Lismore Thistles. 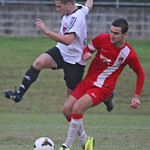 Round 10 sees the Rams travelling to Chickiba Drive in East Ballina on Sunday for their second encounter with with the Premier League newbies, Tintenbar. Reserves kick off at 12.30 and the Prems at 2.30.